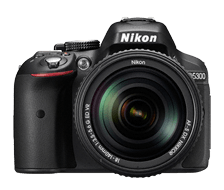 Meet the first in an exciting new generation of Wi-Fi® enabled, ultra-high-resolution Nikon HD-SLRs: the D5300. With built-in Wi-Fi for photo sharing to your smartphone or tablet, GPS and mapping, a cutting edge 24.2-megapixel image sensor, an extra-large swiveling Vari-angle LCD and more, D5300 brings an outstanding new level of image quality and capabilities in a compact, ergonomic design. Pair it with any NIKKOR lens—like the outstanding AF-S DX NIKKOR 18-140mm f/3.5-5.6G ED VR kit lens—and unleash the full potential of its innovative image sensor. Your photos will be richer, truer to life than most photos you've seen. HD video will have a stunning cinematic look, a level of sharpness and clarity that ignites on ultra-high-resolution tablets, laptops and TVs. And the first time you use your smartphone or tablet to instantly share photos from the D5300, you'll realize the game has truly changed. 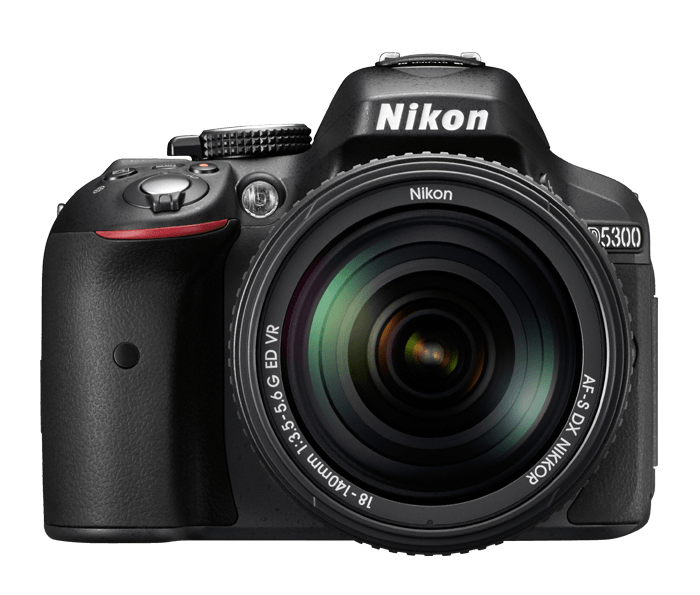 With built-in Wi-Fi and GPS, the D5300 is the first in an exciting new generation of connected Nikon D-SLRs. Wirelessly connect to D5300 with your smartphone or tablet±, then browse the photos on D5300's memory card, import your favorites and instantly email them, text them or post them online. 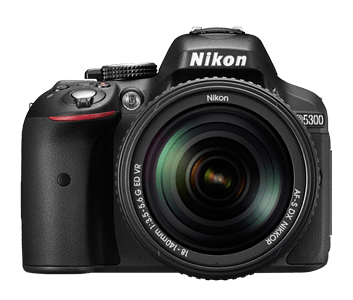 While connected, your smart device can also act as a remote monitor for the D5300. See what the camera sees and even fire the shutter—perfect for group shots and self portraits! When traveling, built-in GPS geotags all of your shots. Create exciting travel journals, find nearby Points of Interest and easily share your location data when posting photos on Facebook or Flickr. Built-in HDR automatically combines two photos into one highly dynamic image, and new subject-based D-Lighting automatically brightens shadowy areas on your subjects—great for portraits. Even if you're new to D-SLR photography, getting great results in difficult situations couldn't be easier—just select from 16 common Scene Modes for your situation, or let the camera pick for you.